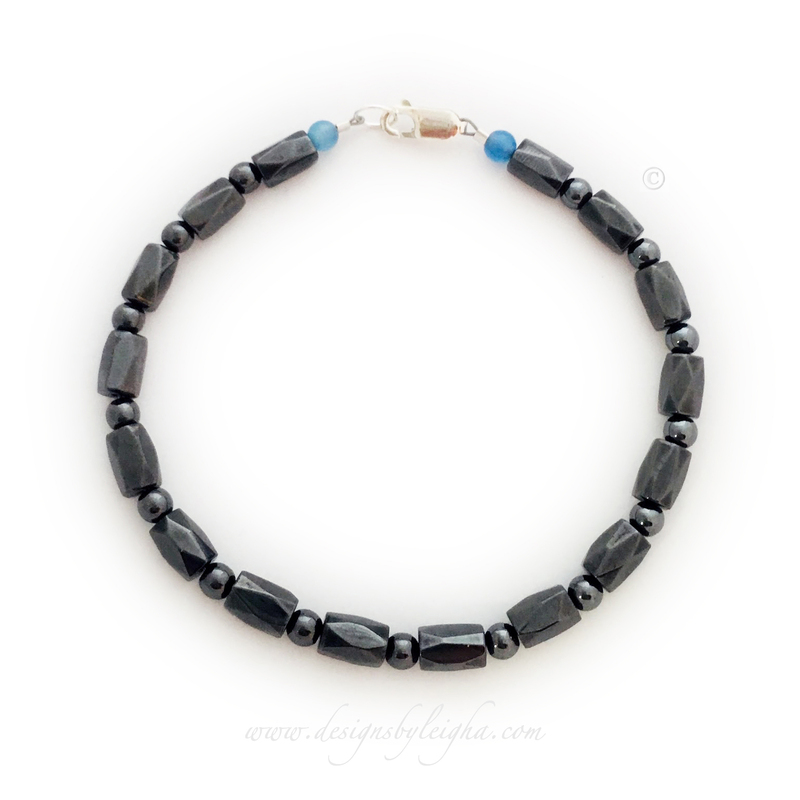 This is a magnetic hematite Cancer Survivor Daddy Bracelet™. It comes with a gemstone with the cancer color on both ends. You may also add a ribbon bead (see image below). 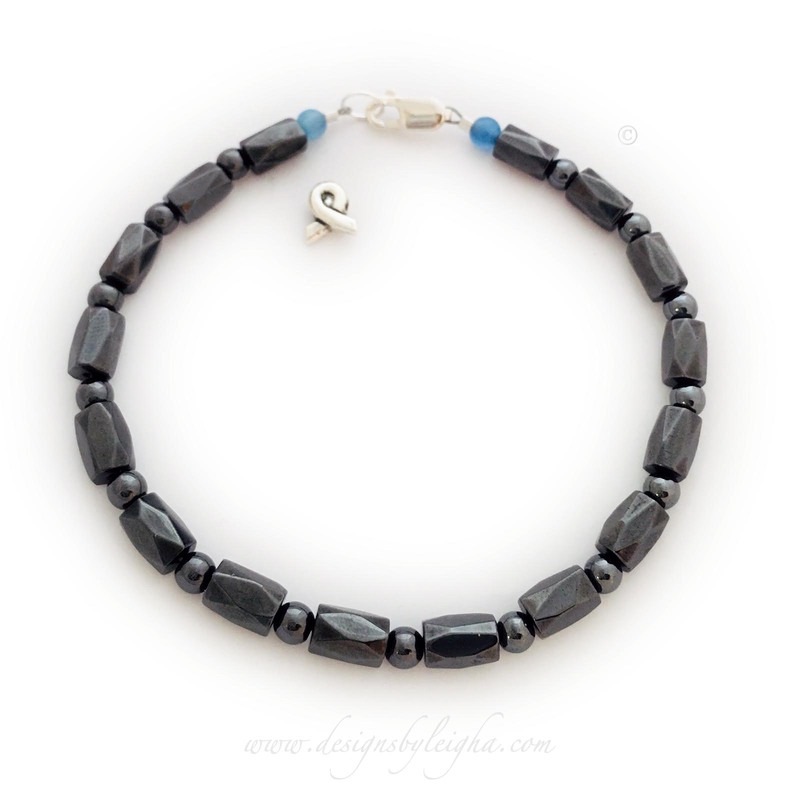 If you want to add the ribbon bead I will put a gemstone before and after the bead (instead of on each side of the bracelet). You may also add names or words of inspiration to this bracelet - To add names see all of my pictures of my Magnetic Daddy Bracelets™ in my Gallery. If you have questions or would like to further personalize this Daddy Bracelet call or text me 615-490-2177 with questions or to place your orders. The sterling silver ribbon bead is shown off to the side of the bracelet. If you add the ribbon bead it will go ON the bracelet in between the cancer colored beads next to the clasp.